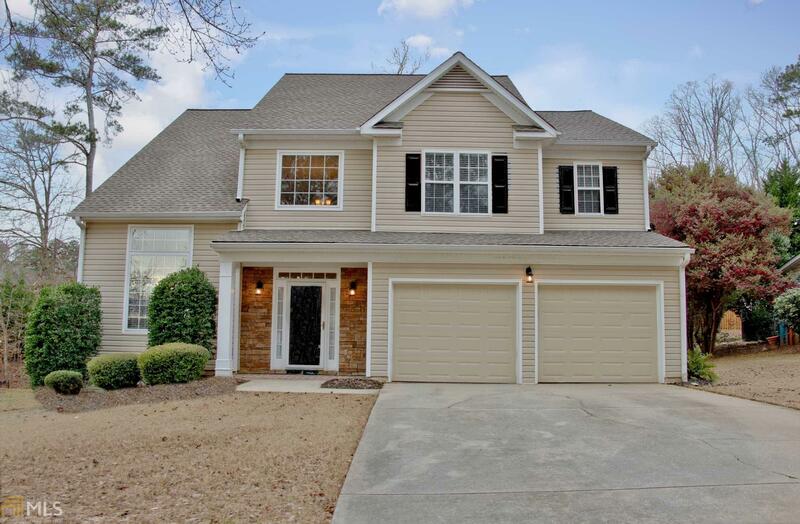 Fantastic home located in convenient N PTC - 9 miles to I-85, quick golf cart ride to terrific shops & restaurants & schools of excellence! Home has been lovingly maintained & updated. Fresh paint throughout & remodeled master bath. 2-story foyer opens to large living room & dining room. Chef&apos;s kitchen w/ stainless gas stove, built in microwave & granite counter tops. Sunny breakfast bar & breakfast room. Large family room is open to the kitchen. Upper level has huge master bedroom & beautiful bathroom was renovated in 2018! 3 additional bedrooms, spacious hall bath, PLUS large 5th bedroom makes a great second den or playroom! Level, private fenced backyard & deck. Close to Kedron Fieldhouse and all conveniences! Close to hospital, airport & Pinewood! Directions: From Hwy 74 Headed North, Take Left Into Ardenlee Subdivision. At Stop Sign Take A Right And Home Will Be On The Right.